A British teenager who has spent a long time traveling around the world on his bike had to take a short break after his bike disappeared. 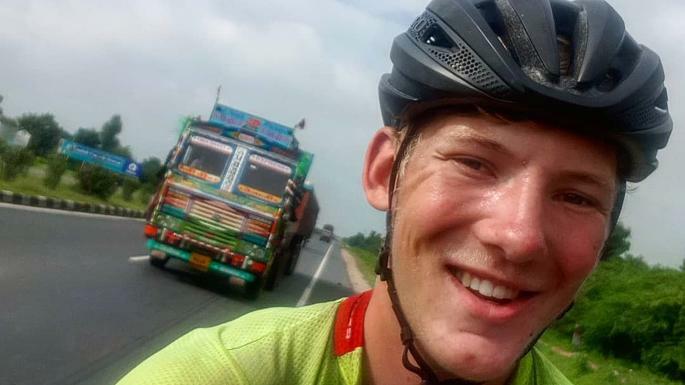 Charlie Condell is looking to become the youngest person to cycle around the world but his attempt recently hit a road block when he found that his bike and some equipment were missing. The teenager had his bike stolen in Australia after pedaling through most of Asia and Europe. He began his trip back in July and it will take him a few more months to complete the journey. The record attempt came to a stop when he woke up in Townsville and saw that his bike, camping equipment and passport were missing. The only thing left in there was one bag. Condell didn’t decide to end his record attempt there though. The teenager decided to move on and find a new bike to continue the trip. 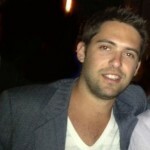 Condell wrote on Twitter that his bike had gone missing on Day 103. He decided to visit other areas after noticing that the bike and some equipment had been stolen. Condell wrote a motivating message on Twitter and said he was seeing wild koalas and feeding birds. He ended the message by telling people to have a great day with whatever they are doing and not stop ever. Condell began his trip more than three months ago and has visited nearly 20 countries so far. The teenager loves to camp but after losing the bike he decided to do something else by visiting other areas and playing a game of volleyball. The teenager estimates that he lost thousands of dollars in equipment. The loss has only motivated him even more. The teenager recently said he plans to complete the trip by March. Completing the trip will set a record as the youngest person to cycle around the world. Condell is using his savings to travel around the world but he has created a fundraising page to get some support for his trip. He plans to continue the journey and has already received the help of some people so he can get back on the road as quickly as possible. The record is currently held by another British man, Tom Davies. He was 19 years old when he completed the trip three years ago. Condell is 18 years old and plans to finish the trip in five months. Condell is not the first person to lose his equipment and transportation during an attempt to set a new record. Earlier this year, Yung Gu Ro, was traveling around the world with his scooter and he arrived to Manchester as part of his trip. The man, who had visited nearly 40 countries at the time, later found that his scooter was missing. Other belongings were also stolen from him. His story quickly caught the attention of some residents, including a group of bikers who had met him a few days before. A motorbike shop worker who had helped change the oil on his scooter before the incident happened decided to visit him in Manchester. The bikers quickly created a GoFundMe page to help the Korean man. The page, created to buy him a new scooter, raised hundreds of pounds. Yung had been posting updates through his Instagram account before his scooter went missing along with a few documents he had brought from South Korea. At the time, he had visited 37 countries with his Honda PCX125.